Happy Tuesday, everyone! I hope everyone had a great Easter! Believe it or not, April is HERE! Warmer weather is FINALLY on its way. “Tax Day” is quickly approaching – only 19 days until the Tuesday, April 17th deadline! Well, for those of you living in Maryland, it’s finally starting to look more like spring. The snow is melting away and the sun has been out warming things up! Being cooped up in the house with the snow a couple weeks ago prompted me to begin the yearly ritual of “spring cleaning”. You know, the time when you clear out all those things you KNEW you needed and couldn’t live without only to find out six months after your purchase you’ve used it twice. 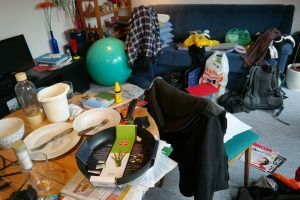 Can your de-cluttering expedition actually save you some money on your taxes after all of the changes from the Tax Cuts and Jobs Act (TCJA)? The answer is yes – well, sometimes. Let me explain. As we have talked about extensively in this blog over the past couple of months, Tax Reform did away with most of the previously itemized deductions. Although charitable giving was not eliminated, many of its “itemizable” counterparts were. That means that most people will opt for the standard deduction which was doubled to $12,000 ($24,000 if you’re married) in lieu of itemizing since the standard deduction ends up giving them the greater benefit. However, if you could accelerate your giving, you could actually benefit from itemizing. Let’s talk details. Many people have favorite charities to which they regularly contribute money or noncash donations. However, for most people, that giving over the course of the year won’t exceed the standard deduction amount (even when they combine other itemized deductions like mortgage interest and medical expenses). However, if those people were to accelerate that charitable giving every few years, the strategy could pay off come tax time. 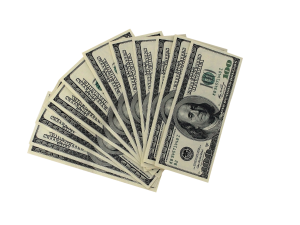 Say you normally donate $5,000 in cash and non cash donations per year to various charities. That $5,000 isn’t even close to matching the increased standard deduction for a married couple. However, if every three years, you “bunched” those donations into a single year, you’d now have a $15,000 total which is much closer to the $24,000 standard deduction. Combined with other itemized expenses like mortgage interest and medical expenses, you would be far better off itemizing for that year. This “bunching” strategy takes some thought and planning, but it could be beneficial. Instead of making donations each and every year, you would “save up” and make donations every few years. If you would still like to donate monetarily to charities each year, you could consider setting up a donor-advised fund. This allows the taxpayer to “donate” to the donor-advised fund and take advantage of the charitable giving deduction. Then, the administrator of the fund will donate to various charities of your choosing throughout the year. By bunching all of your “donations” to the donor-advised fund in a single year, you get the maximum tax write off, and the money in the fund can be spread over the next couple of years to fund the charities of your choosing. The charities still receive donations and you get the benefit of the larger tax deduction. Everybody wins. If you want to learn more about giving strategies that can help to decrease your tax liability, give our office a call today! Our tax experts can help you devise a plan to not only give generously, but receive the maximum tax benefit possible. The consultation is free – what do you have to lose? Call today! Don’t miss a thing! Stay in the loop for all things financial! Follow us on LinkedIn, Twitter, and Facebook! Carrns, Ann. “How to Write Off Donations Under the New Tax Plan: Consider ‘Bunching’.” The New York Times, The New York Times, 21 Dec. 2017. Mercado, Darla. “Bunching Charitable Donations Could Help You Save on 2018 Taxes.” CNBC, CNBC, 10 Jan. 2018, www.cnbc.com/2018/01/04/bunching-charitable-donations-could-help-you-save-ob-taxes-this-year.html.